Who have YOU hugged today? Open your arms to this delightfully tender, goofy, and sweet board book from Scott Campbell. Watch out world, here he comes! The Hug Machine! Whether you are big, or small, or square, or long, or spikey, or soft, no one can resist his unbelievable hugs! HUG ACCOMPLISHED! Now available as a board book, this endearing story encourages a warm, caring, and buoyantly affectionate approach to life. 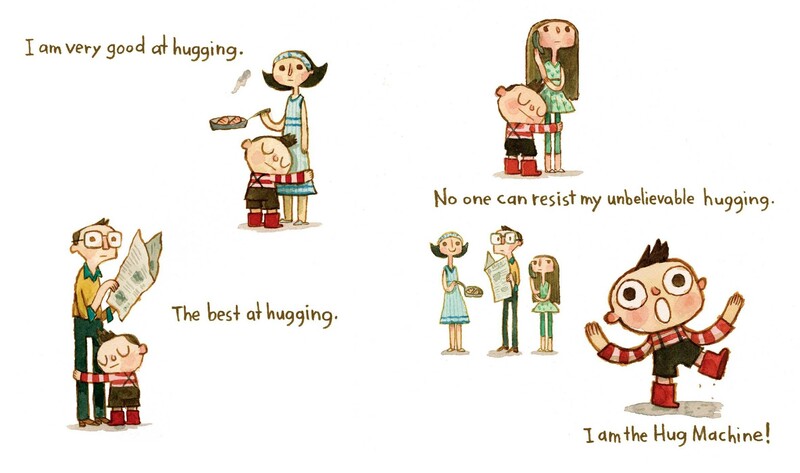 Everyone deserves a hugand this book!